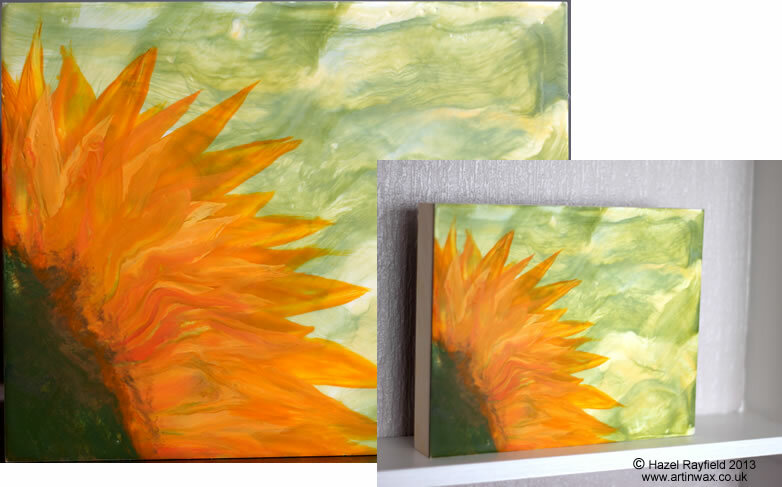 I have been painting on wood again, with the R F Paints handmade paints, these are couple of the new pictures now uploaded to the Art In wax Online Gallery, please visit the gallery page to see larger views of these pictures. 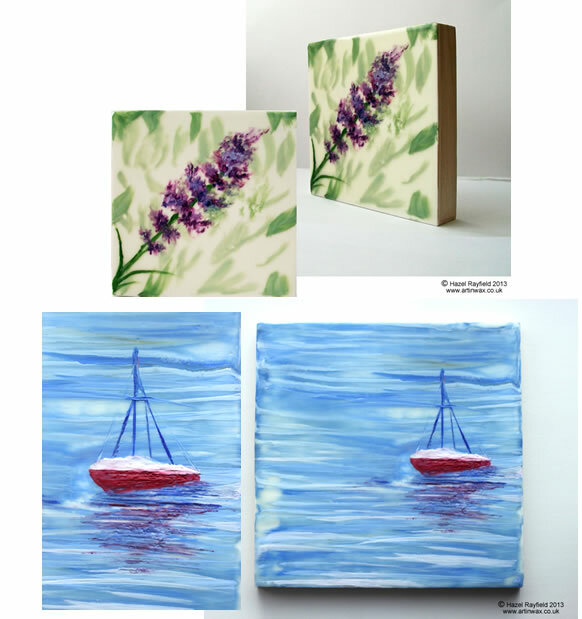 The Lavender is on a 4 x 4 panel and the boat is 8 x 8 I sourced these panels at Jacksons art, they are plain wood, sanded plywood, with a 20mm depth, with reinforced bracing on the back. I applied a couple of coats of gesso (Encaustic Gesso) before painting onto them with the wax paints. Following on from my review of the R & F Paints : Encaustic Starter Kit, earlier this month I have been experimenting with my new R & F handmade paints this time on the Ampersand Encausticbord cradle and this is what I came up with……..